The above pictures were taken on November 7, 2014, when Hong Kong was in the middle of the "Umbrella Revolution" protests. The statue was covered by protesting artifacts at the time. A clearer picture of this statue can be seen here. Claimed as the "New Goddess of Democracy," the appearance of this statue has significant deviations in appearance from the original in 1989. The figure here holds up the torch with only one hand, while the other hand holding a tablet, much closer to the Statue of Liberty than Goddess of Democracy. 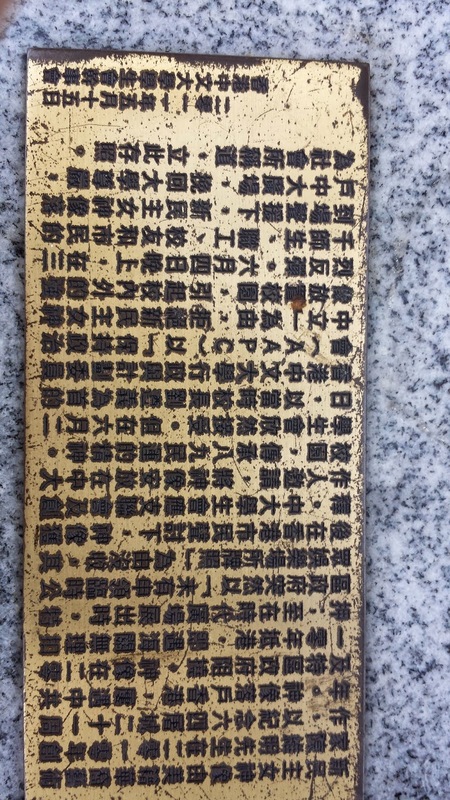 A metal with inscription on the pedestal explains its origin and history. Address: Chinese University of Hong Kong, Shatin, NT, Hong Kong SAR. 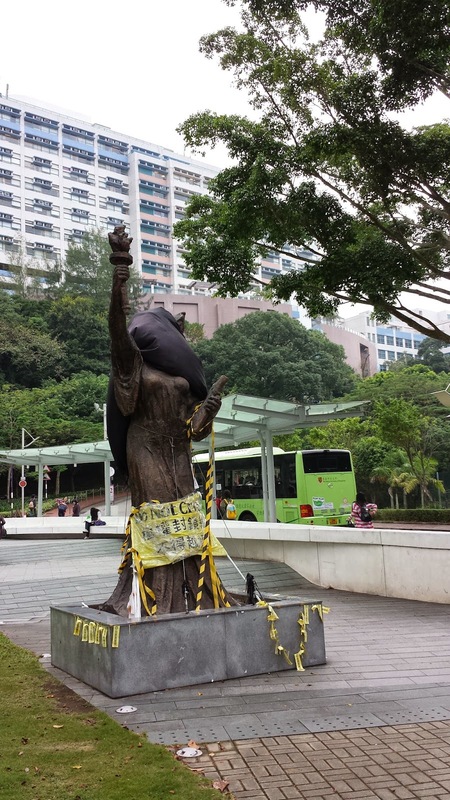 The statue is right outside of the MTR's University Station, at the entrance of the University. According to the wikipedia entry and the inscription above, The statue was created by the American artist Chen Weiming (陈维明) in 2010. After arriving in Hong Kong, it was first exhibited at Hong Kong's Times Square and was temporarily seized by the police. 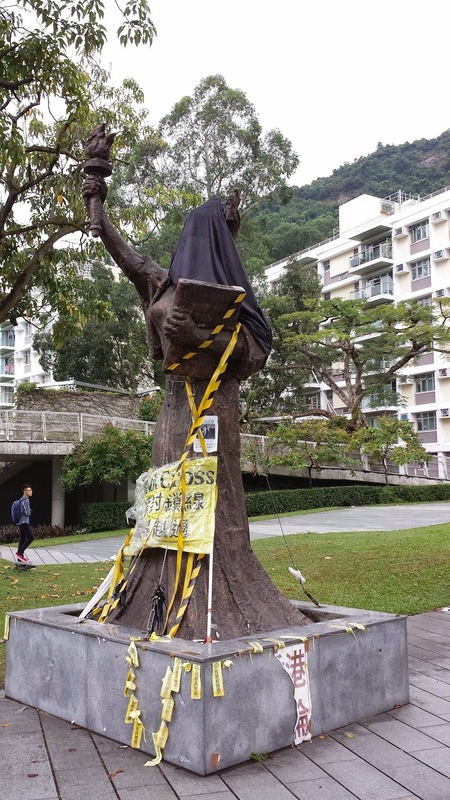 Overcoming objections from the school, the Student Union at Chinese University of Hong Kong was able to provide a permanent home for the statue at its current location.